Elevate supported the #SoBeNotSorry national sampling tour, stopping in 13 markets, crossing the country in a branded school bus. 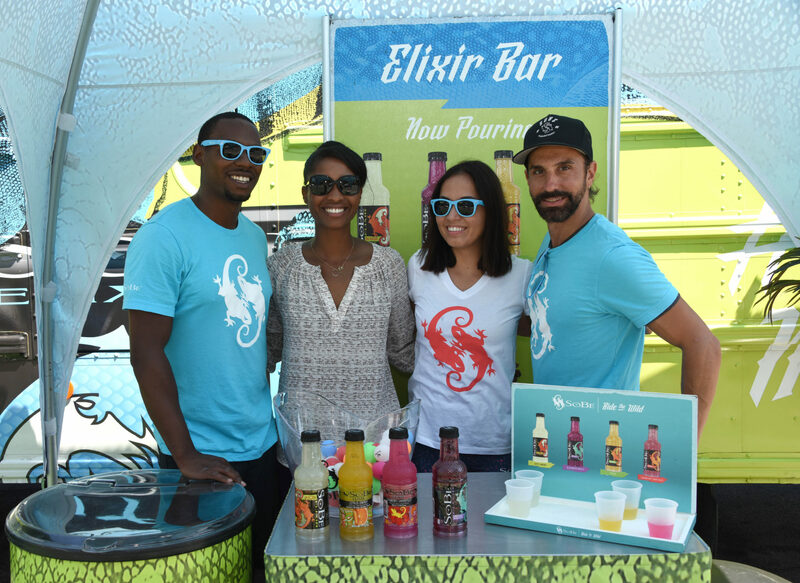 The tour sampled two new flavors, along with the full lineup of SoBe products. Consumers played interactive games such as, a Roulette Wheel, and giant SoBe Pong for a chance to win branded giveaways. Aside from providing a Tour Manager and in-market Brand Ambassadors, Elevate worked with the client to provide routing recommendations, that worked in compliance with the DOT regulations, for the Tour Manager. Management of activation timelines and vehicle movements were adhered to while remaining within the DOT compliance guidelines. Elevate managed all aspects of the program launch from sourcing the Tour Manager to the local brand ambassador team, as well as, full oversight of the tour vehicle and additional tour management logistics and support including scheduling, product pickup and sampling activation. With Elevates support, the nationwide tour proceeded without any delays and executed all planned activations on target.